We’ve truly been hit with a very hot summer this year in the UK but compared to what we were used to last year, the heat has been a little too hot to handle. Scotland usually has rain on the default setting so I’ve been completely unprepared for the heat and swapped my umbrella for SPF. I've also been taking any opportunity to hop into the shower to cool down and feel fresh through the humid temperatures. Just in time for the heatwave, Radox* have introduced a range of citrus inspired shower gels to Revive, Energise and Uplift your senses. As for shower gels, I tend not to buy anything too fancy, as far as I’m concerned as long as it keeps me clean and smells good that’s absolutely fine! 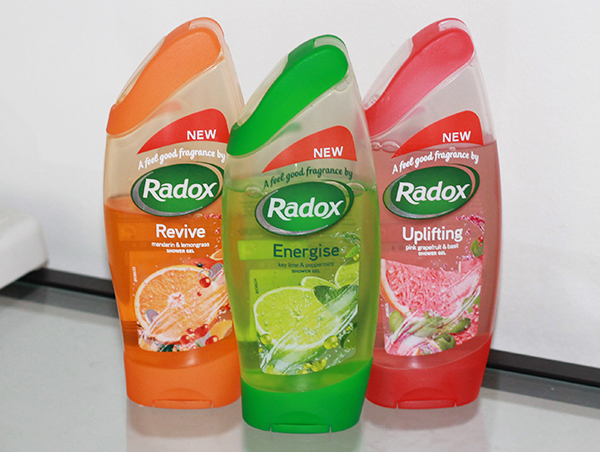 The Radox Citrus Shower Gels come in three scents: Revive, Energise and Uplifting. As you can see from the picture above, Revive is clearly the favourite in my household! Revive is scented with mandarin and lemongrass and it’s one of those scents that instantly wakes you up, definitely a must have for the early mornings. Next up is Energise which is scented with key lime and peppermint, it basically smells like a mojito in a bottle! I think it’s a really refreshing scent and it’s something a bit different. Last but not least is Uplifting with a pink grapefruit and basil fragrance. I thought basil was quite a strange addition but the pink grapefruit definitely overpowers the scent. It’s probably the most girly scent out of the range so if you want something more sweet then this would be the one for you. As part of the Radox Citrus release, a few bloggers were asked to share photos of our most zesty experiences, basically moments that uplift, energise or revive you. You may have seen my picture on our twitter but I thought it might be nice to share on here too and maybe brighten up your day. 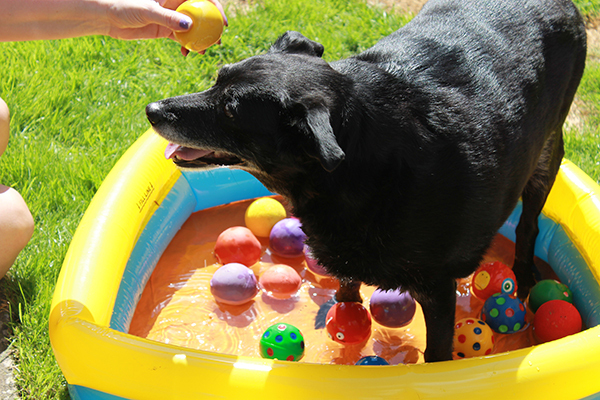 This is my 12 year old dog Tia, playing in her own paddling pool with her toys in the garden during the heatwave, such a spoilt dog! I really loved all the scents from the Radox Citrus range. If I had to pick just one I’d pick Energise just because it’s a little bit more unique. You can pick these up for £1 each so they're really affordable, especially if you're going to be hopping in the shower more often!